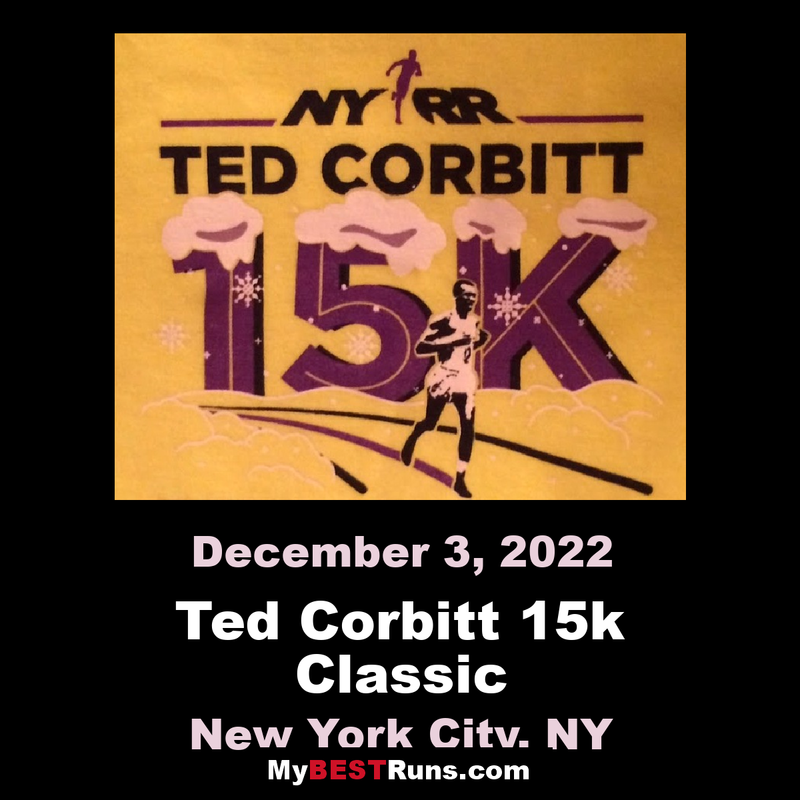 The Ted Corbitt 15K in Central Park honored NYRR founder and president, legendary marathoner, and ultra-marathoner Ted Corbitt. 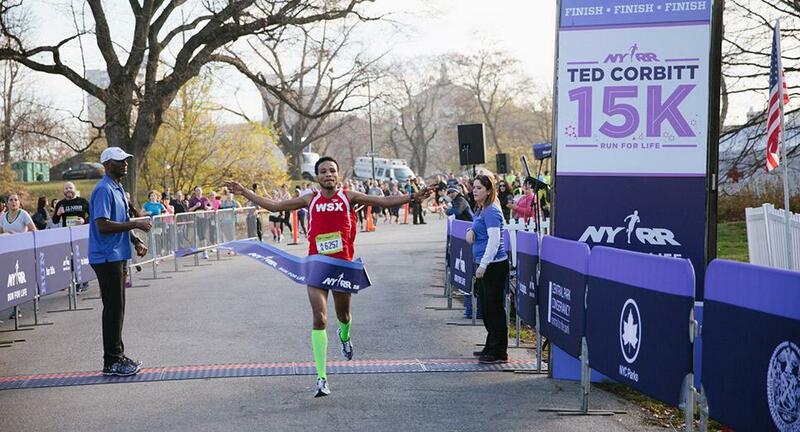 The race is a 15k run entirely in Central Park. 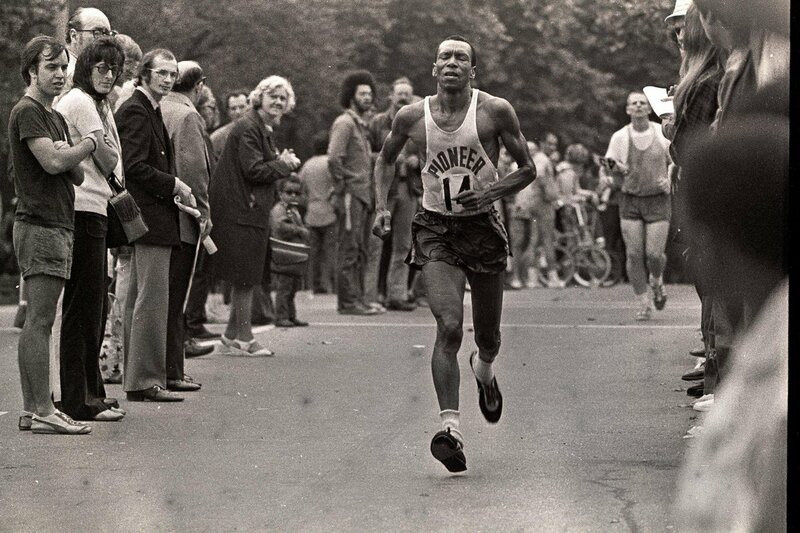 Running to Honor "The Father of Long-Distance Running"
Undeterred by the season’s first snowfall, thousands of runners turned out for today’s NYRR Ted Corbitt 15K in Central Park. The race honorsTed Corbitt(1919-2007), the first president of New York Road Runners, the first African American to compete in the Olympic marathon, and a distance running pioneer who ran more than 200,000 miles in his lifetime and was known as “the father of long-distance running.” Runners took on 9.3 challenging miles over Central Park’s hills. The overall winners were Teshome Mekonen in 44:43 and Belaynesh Fikadu in 54:36. Many members of local running clubs took part today in 2017’s finalclub points raceof the year. The running community will celebrate the top runners and teams of 2017 atNYRR Club Nighton February 1. Among today's finishers was Gary Corbitt, Ted Corbitt’s son, who has dedicated much of the 10 years since his father’s death to preserving his father’s legacy. Gary spoke at theNYRRRUNCENTER featuring the NB Run Hubthis week about Ted’s dedication not only to running but to health and wellness (he worked full time as a physical therapist) and to building an inclusive community. “I had a lot of exposure to road racing back in the late 1950s and early 60s,” said Gary, 66. “A big road race back then was 35 runners, and refreshments were not in the mix—people would run marathons with no water.” We’ve come a long way! To honor Ted Corbitt's commitment to community health and wellness, NYRR hosted a coat drive to benefitNew York Cares, with drop-offs at theNYRRRUNCENTERduring race week and at today’s race. Many runners and volunteers rounded out their 2017 racing today, completing their 9+1 with either a run or volunteer stint (THANK YOU!). There’s one final Central Park race left on NYRR’s December calendar: theNYRR Midnight Runon December 31. Ring in the New Year with us and get your final 9+1 credit for guaranteed entry to the 2018 TCS New York City Marathon!